A Royal Blog for all matters belonging to the King, a king, &/or kings. Fifty-eight months have elapsed since my post about the Borowski Symposium. All I was able to say at the time was that Andy Vaughn would be defending the popular belief that all 21 LMLK seals were designed & used prior to Sennacherib's destruction layer. I suspected it would be some years before I'd see the symposium papers, but they finally came to my attention courtesy of a recent Weekend Roundup at BiblePlaces Blog. You can imagine my delight when I saw that the entire 611-page volume is now available for free. Compared to other festschrifts, this one has the most LMLK & LMLK-related content, though not necessarily the most useful. That distinction still belongs to Eretz-Israel vol. 15 (honoring Yohanan Aharoni), which contains Lemaire's landmark (albeit defective) "Classification" with its stunning impression photos. The fact that it's still utilized by Lipschits in this new festschrift testifies to Lemaire's lasting impact. That being said, I'll now share some highlights from my perspective spanning the entire work. The formal title of the volume is, "Archaeology and History of Eighth-Century Judah", edited by Zev I. Farber and Jacob L. Wright. "Judah had long lagged behind Israel’s urban development, and the increased urbanization that we witness during this period was prompted by several factors: the expansion of the olive oil industry, the mass-production of pottery, and the development of a robust bureaucracy, as evidenced by the LMLK jar handles (discussed by Lipschits and Vaughn in this volume)." Did Judah really lag Israel long in urban development? I had never noticed this point by anyone, & am not aware of the evidence to support it. Israelites outnumbered Judahites, but was a greater percentage of their territory more developed? If anyone can answer this, or point me towards some supporting data, feel free to post a comment. For now, I'd encourage everyone to consider the Qeiyafa depression handles & their distribution (formally published by Hoo-Goo Kang in 2015, but informally available to scholars prior to this 2014 symposium; for example, see Aren Maeir's 2010 blog post). "Another important object from late eighth-century Judah are the lmlk stamps." Wright is probably not aware of LMLKs found at northern/Israelite sites. If it's true that Judah lagged Israel in development, self thinks it's odd to find evidence of sophisticated development from Judah in Israel rather than vice versa. "The death of Sargon II in 705 gave Judah an occasion to revolt, and Aster brings to bear biblical texts that support the material evidence for the rebellion (including the Siloam Tunnel, the Broad Wall in Jerusalem, and the distribution of the LMLK jars). What is arguably more significant is how Judahite scribes turned a military conflict into a theological one, and as an expert on biblical and cuneiform literature, Aster reveals the biblical scribes’ impressive literary and intellectual finesse." In his latter sentence, Wright assumes Aster is right, when actually both Aster & Wright are wrong ... based on what Wright wrote, right?!? "Many of the claims presented in this book are controversial and will provoke debate among the experts. Yet they all are presented in a way that allows non-experts and especially students to consider the evidence, bringing the newest techniques of archeological research into conversation with the interpretation of the biblical texts that emerged from the dramatic events of the late eighth century." As you read my rants below, bear in mind Wright's green-light here to be controversial & provoke debate. The main problem I've encountered from many academicians is when they present opinions/interpretations as facts, because it implies they can't distinguish between the two. Sound demonstration of this ability should be a prerequisite to earning/receiving any academic credentials. "Assyria’s Expansion West of the Euphrates (ca. 870–701 BCE)" by K. Lawson Younger Jr.
"The lmlk jar handles appear to date to the reign of Hezekiah and indicate his preparations for the invasion." God brought my life into existence just so I could repeatedly remind scholars that LMLKs could also indicate worship activity by being receptacles for tithes. And I love God for it! I think God also likes it when I emphasize that military preparations would've only been made in the first half of his reign prior to the invasion, whereas tithing receptacles would've been made throughout his entire reign, especially after the invader retreated after miraculously failing to conquer Hezekiah's capital city, which was also the location of his kingdom's worship center. "I thank thee, O Father, Lord of heaven and earth, because thou hast hid these things from the wise and prudent, and hast revealed them unto [a 21st-century electronics test engineer who likes to climb skyscraper staircases carrying iron weights]." "The Bible also preserves information about religious functions performed AT THE CITY GATE." "In the inner GATEHOUSE, in a storeroom behind it and in the Level III domestic houses in the trench in the western part of the mound, some 10 or more jars were found with lmlk stamps on their handles--crushed beneath the heaps of debris of Level III." I felt obligated to provide this quotation in my non-peer-reviewed blog because it wasn't deemed worthy of mention by any of the scholars in this 611-page peer-reviewed volume. "Writing is also greatly advanced in this era, beyond what was known in the past, and this is reflected in a wide array of evidence, from the increase in the number of ostraca, bullae with writing, lmlk impressions, and more." "LMLK STORAGE JAR (fig. 3:1–3)." "STORAGE JAR WITH TWO HANDLES (fig. 3:4-6). ... A jar with an ovoid body tapering toward the base. The rim is rounded, the neck conical, sometimes with a groove in its middle, and the base rounded. The two handles are extended from the carinated shoulder. This type is prevalent in Judah in the eighth century BCE and is found concurrently with LMLK storage jars." She thanked Faust in note 5 on p. 310 for allowing her to pre-publish the figures from his Tel 'Eton expedition, so I'll be interested in seeing photos &/or reading more about this jar when it's formally published in detail. "Yet, even if we accept that the LMLK jars were still in use in the first half of the seventh century BCE, their proposal that the various impressions of the LMLK seal have chronological significance is highly problematic: In the Assyrian destruction layer in Lachish, dated to 701 BCE, various types appear side by side"
Such a pity that she's never done a careful study of the seal designs, nor their stratification. "It seems that these late First Temple period symbols represented the local god or the local king, and were influenced by similar symbols in neighboring cultures." ...or an authorized symbol of the one true God, preserved by eyewitnesses to one of God's manifestations on Earth, which were probably plagiarized by neighboring cultures to represent their false god(s) or local king. (http://www.lmlk.com/research/index.html), but 725 of them are from private collections or of unknown origin." I'm grateful for his link to the LRW's Home page, but the Corpus page would've been more relevant to his statement, had he done a careful study of the URL. "However, a careful study of this handle demonstrated that it actually bears a stamp impression of Type XII." Scholars of the distant future, possibly living on other planets in other galaxies (if Elon Musk's dream for SpaceX comes true, which it won't), behold a highly lauded university professor claiming to be "careful" while making a grandiose mistake, preserved in print forever now. Here's a link to Aharoni's original, controversial photo of Ramat Rahel 1321-4. Although I classified it as an x2x (meaning I can't say for sure which 2-winged seal made it), it's definitely NOT a G2T (Lemaire's X II) because of the light-rays having 3 raised lines instead of 2. I would not expect Lipschits or his students to know this since they only plagiarized the surface-results of my work, & never excavated its full precision-treasure! "The same is true regarding another handle from the Jewish Quarter Excavations in Jerusalem (Avigad and Barkay 2000, 261: 27) which also had been classified as Type OII but is undoubtedly another exemplar of Type XII." Ditto. This time he claims JQE 4410-1 is "undoubtedly" a G2T, but again is definitely not. 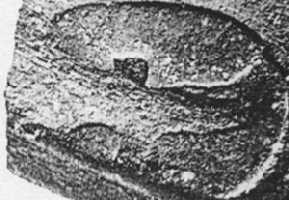 It's too shallow to identify based on the icon's light-rays, but its outline resembles the unique curves of the H2D, & it bears some raised clay in the precise position of the H2D's initial Lamed, nowhere near the G2T's. However, because it's weak, I can't legitimately disqualify other possibilities, with the exception of a G2T because the design doesn't match Lemaire's X II despite its weak/sloppy impression. When students read Lipschits, I'm hoping their impression will be "weak/sloppy" with regard to seal identifications. "Altogether, there are 19 subtypes of the lmlk stamp impressions, which means that 19 seals were in use." "The similarities and unity of the Ib type indicate that it was produced as a series, probably by the same artisan, and at the same time." Actually, the same could be said for each of the 5 sets, which is why they're classified in sets. A more interesting aspect of the series is why so many more H4L & S4L impressions were made (at least 108 & 56 = 164) compared to those of the M4L & Z4L (10 & 8 = 18) if, as Lipschits recognizes, the seals were made at the same time. Similarly skewed ratios exist for pairs in the other sets (particularly the x4C, Lemaire's Ia). "Surprisingly, nearly 30 years passed before a careful and precise study of the exact location of each type, its stratigraphy and distribution was published (Lipschits, Sergi, and Koch 2010)." Actually, it was only about 20 years from Lemaire's landmark publication till I put the LRW's Typologies, Stratigraphy, & Distribution pages online. What is surprising, is that nearly 8 years passed before a tenured university professor & 2 of his students plagiarized my work. 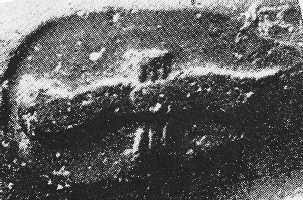 "A careful and precise study of the exact location, stratigraphy, and distribution of each type shows that some types of the winged sun-disk stamp impressions (Types IIb, IIc, XII) were found unsealed by the 701 BCE destruction debris at Lachish or by any destruction layer assigned to the 701 BCE Assyrian campaign in all the many sites excavated in Judah (Lipschits, Sergi, and Koch 2010)." If I ever reprint my 2004 Lv1 book, I think I'll include that quote on the back cover since it adequately describes my illustrated arrangement of the 21 LMLK seals there. It's like one of those complimentary quotes an eminent scholar gives to a subordinate to help introduce the latter's work to a wider audience. "This study isolated the four-winged scarab Type Ia and Ib and the winged sun-disk Type IIa as those found sealed under the destruction level of Lachish III and contemporaneous strata." "Accordingly, these types were defined as the “early types,” used before the 701 Assyrian attack on Judah (Lipschits, Sergi, and Koch 2010, 11 and fig. 1)." Or as I defined them on p. 7 of Lv1 in 2004: "B.S., before Sennacherib (specifically, before his Judean campaign; not to be confused with the speech of his Rabshekah, which was a different kind of B.S.)". "Therefore, these types were produced after the 701 campaign, and should be defined as 'late types,' dated to the beginning of the seventh century BCE (Lipschits, Sergi and Koch 2010, 11, 13–17)." Or as I defined them on p. 7 of Lv1 in 2004, 6 years before Lipschits et al. was published: "A.S., after Sennacherib (specifically, after his Judean campaign)". "9. The first scholar who wrote about this chronological separation between the different lmlk types is Chang-Ho Ji (2001), who reconstructed four stages in the evolution of the Judahite royal stamp impressions. According to Ji, the four-winged scarab and the two-winged disc were used concurrently before Sennacherib’s 701 BCE campaign, and only the two-winged emblem was used during the seventh century BCE. Prior to the early or mid-seventh century BCE, King Manasseh introduced the concentric incision, which was employed alongside the two-winged disc. It is not clear on what ground Ji suggests that the two-winged symbol alone continued to be used until the last third of the seventh century BCE, when the rosette symbol replaced it. On the separation between 'pre-Sennacherib' and 'post-Sennacherib' lmlk stamp impressions, see also Grena (2004)." This note struck me as simultaneously funny & bizarre. When discussing LMLKs, Ji's chronological remarks followed those of 20th-century scholars (primarily W. Albright, D. Ussishkin, & A. Mazar). Ji's ground was "not clear" to Lipschits because Ji didn't study the seal designs! His main points concerned post-fired (thus, post-jar-production) CCs. Of course I wouldn't expect Lipschits to understand this distinction since he didn't do a careful study of them either, or he would recognize all 21 instead of only 19. While I'm grateful to him for adding the final sentence referencing my Lv1, it seems odd after having taken grandiose credit for "a careful study" on p. 342. Question for my sentient readers: Wouldn't a genuinely careful study have recognized my separation of the 21 seal designs? "From the historical perspective, it is more reasonable to reconstruct the idea, hypothetical though it may be, that the system of stamped jars was initiated in the early stages of Judah's subjugation to the Assyrian empire, and continued for about 600 years, disappearing only after the Hasmonean Revolt." "This observation can now be updated, since all the cases mentioned by Ussishkin are indeed of the winged sun-disk types, and furthermore they are all 'early types' (IIa), except for one case of a 'private' stamp impression stamped on the same handle of a four-winged scarab impression (Lipschits, Sergi and Koch 201 [sic], 26; and n. 45; and cf. Avigad and Barkai 2000, 248–49, no. 54)." Say what?!?! His parenthetical references are to Sass/Avigad #688. No personal seal has yet been found on the same handle or jar with an x4x. The only way I can save Lipschits from this mistake, is that maybe he was thinking of the two rare/unusual x4x handles with CCs. The "Koch 201" typo indicates he wrote this "update" in a bit of a hurry. No excuse though for editors Wright & Farber, who hold the distinguished responsibility for checking each scholar's references. "New data, based on paleomagnetic research, indicate an inner chronology of the four-winged scarab types and on the processes of development of Types Ia and Ib." For a thorough rebuttal of this point, see my February 2017 post, Royal Magnetism. While paleomagnetic data may one day help refine pottery chronology, & even prove my hypotheses wrong, this one reported by Ben-Yosef et al. doesn't. "It collected agricultural products such as olive oil and wine, exchanged it for silver and gold, and with this paid its annual taxes." I don't understand why the Judahite government would exchange anything with its citizens when collecting taxes from them. If it exchanged these commodities (in stamped jars) with other societies, why are they found exclusively in Judah/Israel? Why not in Africa or Asia or anywhere else? Of course, those neighboring societies would have had the same dilemma of needing to exchange their products for silver/gold. Tithing within the Judah/Israel society better fits the evidence, & comports with the Bible's record. "The new research on stamp impressions was not connected in any way to the renewed excavations at Ramat Rahel which I co-directed. Rather, it was based on a careful study of the distribution of the lmlk stamped handles, according to the detailed typology set out by Andre Lemaire in 1981, something that was not done in the many years that passed until our 2010 study." His new research WAS connected to the renewed excavations at Ramat Rahel, because after I learned of him leading that project, I sent a complimentary copy of Lv1 to him, which led to his "careful" plagiarism of the work I had done, including some important corrections to Lemaire's typology. "Vaughn fails ... Vaughn claims ... Vaughn does not deal with ... Vaughn disregards..."
Wow, this Lipschits guy is relentlessly harsh! Spanning pp. 357-362, Vaughn showcases the worst of scholarship here, beginning with the title. His main opponent on this occasion is Lipschits, whose main argument is not that some LMLKs were made during another king's reign, but that a chronological division can be discerned from the archeological data (the same sermon yours truly has been preaching since 2002). "It is possible that a handful of isolated jars remained in use into the seventh century, but the manufacture of jars ceased shortly after Sennacherib’s campaign in 701 BCE." Vaughn provides no positive evidence to support this assertion. Such a conclusion is far from proven and only a possibility until some positive evidence is presented. His entire refutation is based on arguments from silences, assumptions, and possibilities that are not proven. "The entire hypothesis or theory is based on arguments from silences, assumptions, and possibilities that are not proven." "Such a conclusion is far from proven and only a possibility until some positive evidence is presented." Apparently apparently there there is is! "Likewise, the hypotheses of Lipschits et al. will be dramatically altered or disproven if even a couple impressions of Type IIb are found in eighth century contexts or at sites that were not occupied in the seventh century." Likewise, the hypotheses of Vaughn (& Barkay & Ussishkin by the way) will be dramatically altered or disproven if even a couple impressions of any types are found in ninth century contexts or at sites that were not occupied in the eighth century. See how easy it is to refute an arbitrary position? Logic 101 my friends! A class Vaughn apparently never took en route to his PhD. "Moreover, many of these so-called later types of lmlk impressions are found in the same archaeological context with what Lipschits et al. identify as earlier types or in the same archaeological context with official seal impressions (which they also date the [sic] eighth century)." That's because Hezekiah's reign began before Sennacherib formed the archaeological context, & continued afterwards. I know Vaughn knows this about Hezekiah's reign, because it comprises the first chapter of his doctoral dissertation; I just don't know why he doesn't employ that knowledge to test a logical inverse case: If a jar was made before the invasion, it could have survived intact & be found in context with jars made using a new seal design after the invasion. It doesn't imply that the jars found in the later context must have been made in the earlier context. For university students who've taken a course in Logic, you'll recall that Vaughn's committing a False Analogy fallacy: X has property Y. Z is like X. Therefore Z has property Y.
x4x & x2U seals pre-date Sennacherib's conquest of Lachish. x2D & x2T seals are like x4x & x2U seals (in that they're all LMLKs). Therefore all LMLKs pre-date Sennacherib's conquest of Lachish. Vaughn assumes this to be true, but the only evidence he offers is one where X is found with Z in non-Y contexts. "Yet, one should ask if there is positive evidence to suggest the opposite theory--that all (or almost all) of the lmlk impressions and related jars date to the late eighth century." The evidence Vaughn erroneously labels "positive" is actually "circumstantial" or "indirect", & subject to bias. Unstratified artifacts can be dated to a variety of periods by "arguments from silences, assumptions, and possibilities that are not proven." They can only be viewed as positive evidence for a stratified context in which they were actually found. "Stager’s dissertation specifies that the handle came from the occupational debris (not a fill), so it should be dated conclusively to the late eighth century." "The presence of jars impressed with these impressions makes the most sense during the reign of Hezekiah when the boundaries of Judah were expanded and when Judah likely had a wider sphere of trade with the surrounding regions." Such poor scholarship. Doesn't grasp the point his opponents are making. The issue is not how wide/expanded Judah's territory was, but whether the jars were only made before Sennacherib's invasion, or whether they were also made (in similar quantities for a similar duration) after his invasion. It's an important distinction that either harmonizes or conflicts with the Biblical record of events during Hezekiah's reign. In defense of Lipschits, whose position on Ahaz I don't support, he could've made the initial batch of LMLKs before his son expanded Judah's boundaries, which would've accommodated increased production (& more seals) during Hezekiah's reign. Vaughn exposes his weakness by resorting to a fallacious "makes the most sense" cliche in lieu of a reason. "The impressions do not come from stratified contexts, but to date Tappy has not found evidence of (any?) significant occupation at Tel Zayit during the seventh century. These impressions (especially the Type ZIIb impression) provide further evidence against the hypothesis of Lipschits et al. that Type IIb impressions were not used in the late eighth century. This jar handle is the clear, single exemplar that they claim has not been found." Here Vaughn relies on "oral communication" from Tappy, who's not yet demonstrated expertise on LMLKs. In any case, if the handles are actually Z2Ds (Lemaire's Z IIb), & are not stratified, they'd be no different from the x2D handles found unstratified at Lachish. They cannot possibly be used as "further evidence against" my hypothesis, because they're not positive evidence; they're "arguments from silences, assumptions, and possibilities that are not proven." Furthermore, somebody please explain to Vaughn that lack of "significant occupation" (i.e., negative evidence) based on the excavation of a small fraction of a site, is an extremely weak basis for a "clear" smoking-gun conclusion. "We can still safely and confidently conclude that lmlk jar phenomenon is limited to Hezekiah’s reign, with the possible exception of a few jars that remained in use in the seventh century." We can safely and confidently conclude that Vaughn's article demonstrates poor scholarship: 1) He hasn't provided a single exemplar of positive evidence to counter the hypothesis of Lipschits that the first LMLKs were made during Ahaz's reign (using his own standard of truth based on an interpretation of positive evidence). And 2), he has again misrepresented the discussion (or demonstrated a misunderstanding of his opponents' position) by stating that jars "remained in use" rather than that their production continued using new sets of seals. "Post-mortem divine status is evident in the appellations elohim and qedosim as well as the receipt of offerings and tithes." "Cultic service, beyond mere veneration, seems indicated by legislation forbidding offering tithed food to the dead." Yet Lipschits & Vaughn (& most scholars) focus on destruction contexts, military supplies, & payments to foreign rulers, which were not the cultural norm leading up to LMLKs. "Yet unlike other measures normally associated with national identity, such as lmlk seals or weights, there is no evidence that JPFs were imposed by the central government." If Lipschits & Darby are correct, then Judah's national identity changed from nothing to a scarab to the sun to Target's logo to a rosette to a lion to a 4-letter word to a 3-letter word to a star with a 5-letter word. "Linking the distribution of JPFs with lmlk seals and rosette stamps (the other quintessential IA II Judean artifacts), Wilson (2012, 19–54) notes that during the seventh and eighth centuries BCE, 'Judah, as an ethnos, was maintaining boundaries between itself and its neighbors—-and vice versa-—and the imperial force of Assyria provided a catalyst.'" If Lipschits & Wilson are correct, then maintaining boundaries demonstrated equal submission by the societies on each side of those boundaries. Makes sense, doesn't it? One used seals & stamps; the others used ... nothing? "Using archaeological data in conversation with critical biblical scholarship, this article will offer an overview of what we know, and what we can speculate, about religious beliefs and practices in eighth-century Judah." "The Holiness Collection in Leviticus (18:21, 20:2–4) forbids a ritual of passing a child to a god called molekh, meaning 'king.' Whether this is the god’s name or his epithet, and whether he should be understood as an instantiation of the Ammonite god Milkom, the Israelite god Yahweh (Stavrakopoulou 2012–2018), or an independent god is a matter of debate." "For this reason, writing was a technology that normally resided in elite hands, that is, those associated with the royal bureaucracies of the great powers: scribes, priests, high-level governmental officials, military officers, ambassadors." Normally. The royal x4C seals were inscribed by Abby Normal. And no, I will NOT be angry with anyone who disagrees! "Furthermore, although the most famous of the Lachish inscriptions hail from the early sixth century BCE, some inscriptions from Lachish are from the eighth century, including and especially the 'Bat-Lamelech Jar Inscription,' as well as a very beautiful seal with a four-winged beetle and Egyptian ankhs." To not hurt the BT-LMLK jar's feelings, I think it's very beautiful too. "Also hailing especially from the late eighth century and the early seventh century are the lamelech jar handles, totaling in excess of a thousand, mostly from the reign of Hezekiah (r. ca. 715–687 BCE), connected with officialdom’s control of, and activities in, agricultural commodities (among the many works on the subject of the lamelech jar handles, see especially Vaughn 1999)." "Mostly", said he who opines most cautiously with regard to ancient-history speculations. "Because most of these inscriptions (e.g., Reisner Samaria Ostraca, the Samaria Joint-Expedition Inscriptions, the Siloam Tunnel Inscription, the Gibeon Inscribed Jar Handles, the lamelech Jar Handles) hail from officialdom, it is most reasonable to contend that most scribes functioned in some component of the governments of Israel and Judah." Vaughn's influence shows with Rollston's resorting to a "most reasonable" cliche! But he retains his title of most-cautious opiner with "most scribes" & "some component" for "most of these inscriptions"! "This campaign loomed so large in the mind of Sennacherib that he had massive reliefs of the siege of Lachish made so as to decorate his palace. Finally, it is worth noting that although it occurred in the early seventh century (namely, 681 BCE), the authors of Kings also accurately recorded the fact that Sennacherib was assassinated as well as the very name of his primary assassins..."
Great point! This is mostly some of Rollston's most very-beautiful writing! "Further emphasizing the distance between man and God, the prophet bemoans 'Woe is me, for I am destroyed, for the King the Lord of Hosts I have seen' (6:5). This statement of the prophet, emphasing [sic] that man must not arrogantly place himself on a plane with God, underlines the actions of the winged creatures, who hide their faces so as not to see God (6:2)." Can't resist emphasizing some "emphasing" here. If the purpose of the wings covering their faces was to not see God, I wonder why Aster thinks they covered their feet. They used the other pair to fly, so they weren't necessarily standing on holy ground. Even if they stopped flying, why would it be okay for their wings to touch the ground but not their feet? I think a better explanation of the face-wings was to shield their eyes from God's light, which was symbolized by LMLK icons based on earlier appearances of God's glory. My best guess for the feet-wings was for aerodynamic reasons, similar to the multi-purpose stow/deploy design of landing legs on SpaceX rockets. Remember this if you ever hear someone say theology isn't rocket science! "There is further evidence that Judah prepared for a possible rebellion against Assyria over a period of several years." There is also evidence that during Hezekiah's reign, Judah prepared their hearts to seek God, the LORD God of their fathers (2Ch30:18-20). "I have therefore argued that large parts of this source were composed by Isaiah of Jerusalem, shortly after the events of 701 BCE (Aster 2017, 248–74)." I consider this progress, that a scholar would acknowledge a real Isaiah recorded an eyewitness account. P. 484: No significant content, but I like the page number! Heard a Blessing of Yahweh Lately?